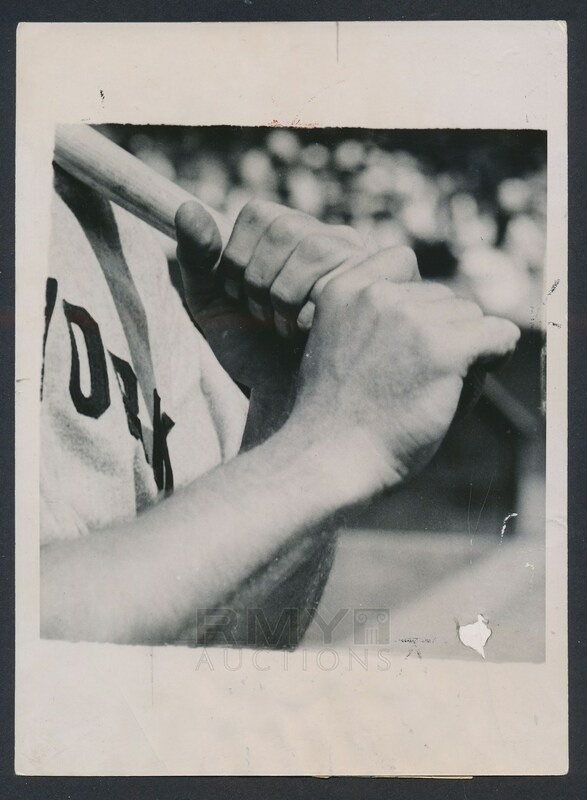 Impressive 1936 artistic photograph of the great Lou Gehrig's Batting Grip. 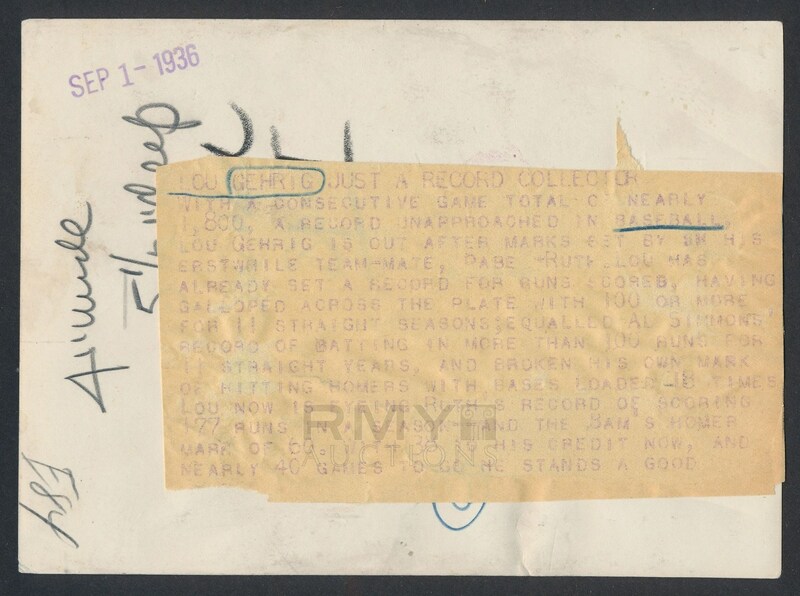 Lengthy paper caption on the back calls the Iron Horse a "Record Collector" and lists several of his accomplishments as well as the records he was out for including Babe Ruth's mark of 60 Homers in a Season! With perfect clarity, the photo presents well with note to a small spot of paper loss on the lower right that could be restored, this is one of the best Gehrig Photos on the Planet and one of only a few studies of his Batting Grip known to exist! A fantastic piece of photography that could be hanging in a museum or gallery!